Satin sash with a custom message. Velcro® secures sash. Custom sash will ship separately from rest of order. 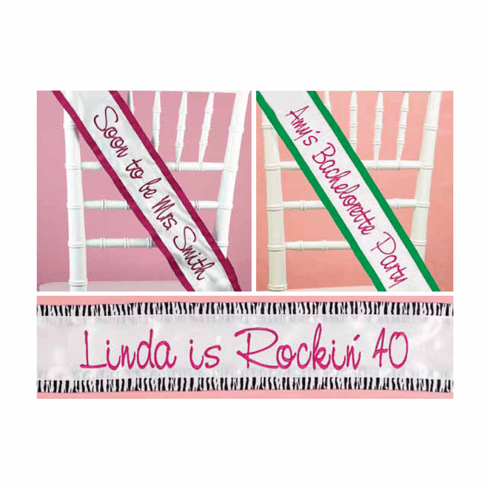 Your bride will be feeling special with her customized sash. Personalize with "Soon to be Mrs. ______" or any other custom saying you can think of! Available in 19 fun colors.